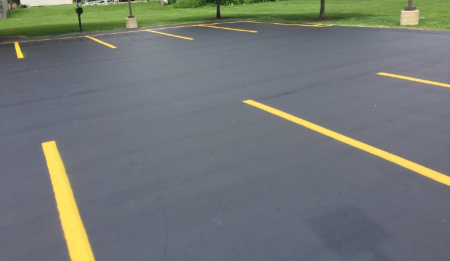 Armored Sealcoating provides asphalt driveway and parking lot maintenance in Paddock Lake, Wisconsin. Our professional asphalt contractors provide high quality seal coating services with efficiency and respectfulness. We service both residential and commercial asphalt driveways and parking areas. We also provide snow plowing services in the winter! Contact us for a free asphalt seal coating or snow plowing estimate today. We’re a Kenosha firewood supplier. If you need firewood in Paddock Lake, Wisconsin, make Armored your first choice. We have a large inventory of firewood for sale that can be used for residential or commercial applications – give us a call to learn more about pricing and ordering. Have a home or business in Paddock Lake in need of seal coating services? Give us a Call at 262-515-4150 or contact us online today!